This reusable water bottle has our traditional HOB logo. 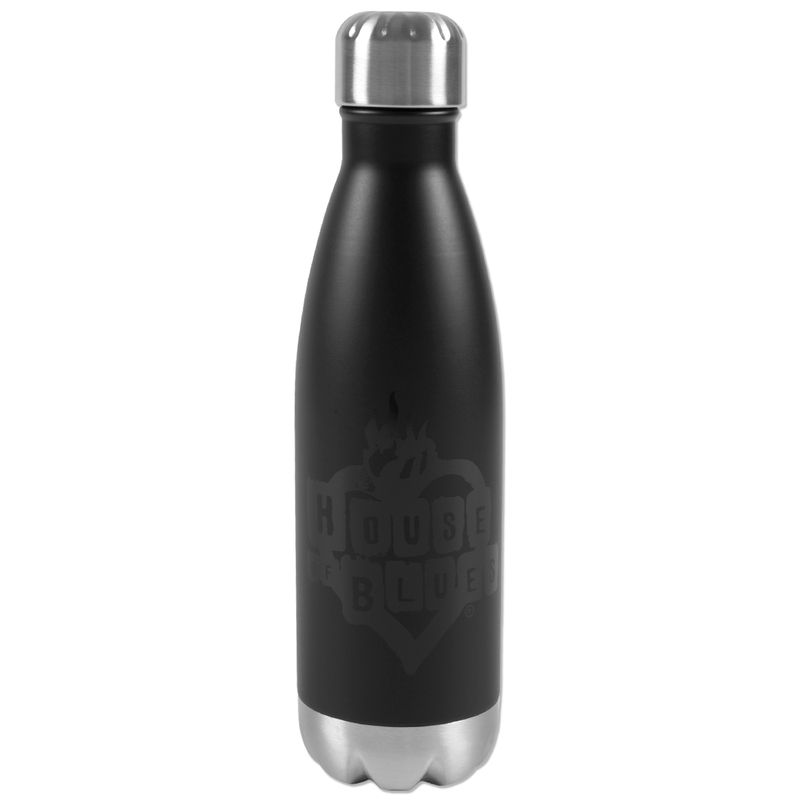 The outer layer of the bottle is matte black, the inner layer is made of 18/8 stainless steel; also features an electrolytic solution layer, seamless liner, food grade stainless steel, and three layers of thermal insulation and anti-scald. HAND WASH ONLY, DO NOT MICROWAVE.